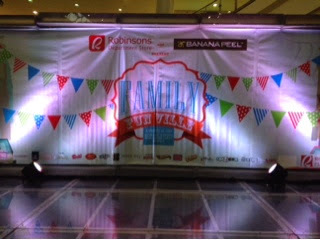 Banana Peel--Everyone's Favorite Flipflops whose patterns and unique designs had long been imitated but has never been equaled recently held an event called "Banana Peel Family Fun Ville" at the Midtown Atrium of Robinsons Place Manila. It was an event that was open to the public provided that they make a Php500 single receipt purchase of any Banana Peel products during the promo period. Banana Peel has truly transformed the Robinsons Midtown Atrium into a Family Fun Ville with loads of activities for the whole family to enjoy. 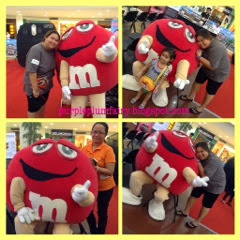 There was Mommy Avenue specifically for all Mommies to relax and spend their "me-time" as their kids were busy doing other fun stuff in their respective area. Lulu Nails provided free nail cleaning and polish to mothers while Mary Kay gave out free facial and makeover as well. If Moms had their own area, Daddy District are also a hit among dads where they could surf the net using Sun Cellular's free wifi access. Of course, Banana Peel's Family Fun Ville won't be complete without the Kids Alley. 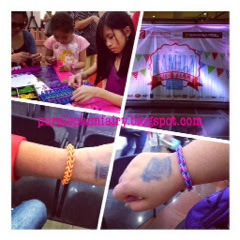 Kids had a blast with lots of activities such as Trolli coloring area, Lalaloopsy Photo booth, Hot Wheels and Mega Bloks play area, Cra-Z-Loom craft making area where kids and those kids-at-heart tried their hands on the latest craze that hit the Metro called rainbow loombands. Instax camera also had a photo booth where guests were given mini instax printouts. Oh, and of course, there were awesome Banana Peel products sold during the said event too. 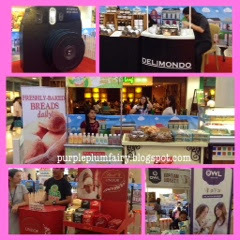 Other sponsors such as King Sue, Pan de Manila, Owl Coffee, Lindt Chocolates, Delimondo, and M and M's Chocolates also provided freebies and samples to all the guests. 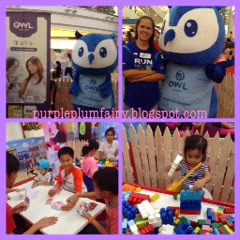 Cute mascots such as M and M's red chocolate, King Sue, Owl Coffee and Lalaloopsy also graced the said event. 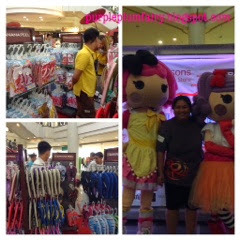 There were also meet and greet sessions with colorful Lalaloopsy mascots. And I just couldn't resist to have my picture taken with those lovely doll mascots that I had to have the courage to come up on stage and have my photo taken with them. Well, at first, I was a bit hesitant because I'm too old for Lalaloppsy dolls. So I took a few selfie pics with them on my background. But eventually, I decided to take the opportunity after someone from Banana Peel had taken her pics with them. I could just simply say that I've followed her lead anyway. There were also raffled off prizes from Banana Peel, Lulu Nails, Hawk Bags, HotWheels, and Delimondo gift packs received by lucky winners. 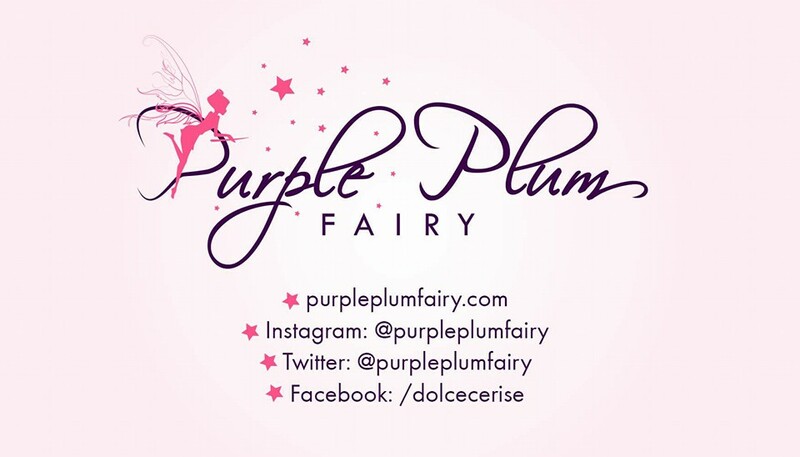 My aunt whom I tagged along with me won a Lulu Nail gift certificate worth Php200. She was lucky enough to have won a prize because I hadn't been lucky in raffles. 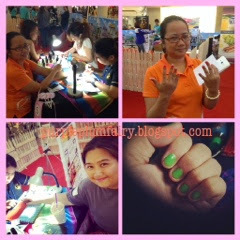 I've had my digits polished in lime green at the Lulu Nails booth. There were a lot of choices but I decided to pick green because I haven't tried that color on my fingernails yet. But what has truly mad my day was when I've tried my hand on some crafting. I've heard and seen a lot of those loom bands everywhere but I haven't given it a try until that day at the Banana Peel Family Fun Ville. I went over the Cra-Z-Loom booth and asked the lady to teach me how to do it. I felt a bit awkward at first seeing that while the other kids around me were busy doing their looms without much assistance, I knew I needed more assistance because it's my first time to do such a thing. Plus, I knew I've never been "artistic or crafty". Eventually, I got the hang of it. It's really fun and so easy to do. I no longer wonder why it had become such a huge craze in the Philippines. Although what I've done was only considered as 'basic' but for me, it's really cool. I even made a few mistakes because I mistakenly weaved a wrong color (I must have been really tired to become color blind!) unto the loom. But it's not that obvious anyway so it's okay. Overall, Banana Peel Family Fun Ville was an event where families had a great bonding over the weekend. Guests all had fun with wonderful memories to keep. Thanks to everyone's favorite flipflops, Banana Peel for giving us such a wonderful weekend activity for the entire family. 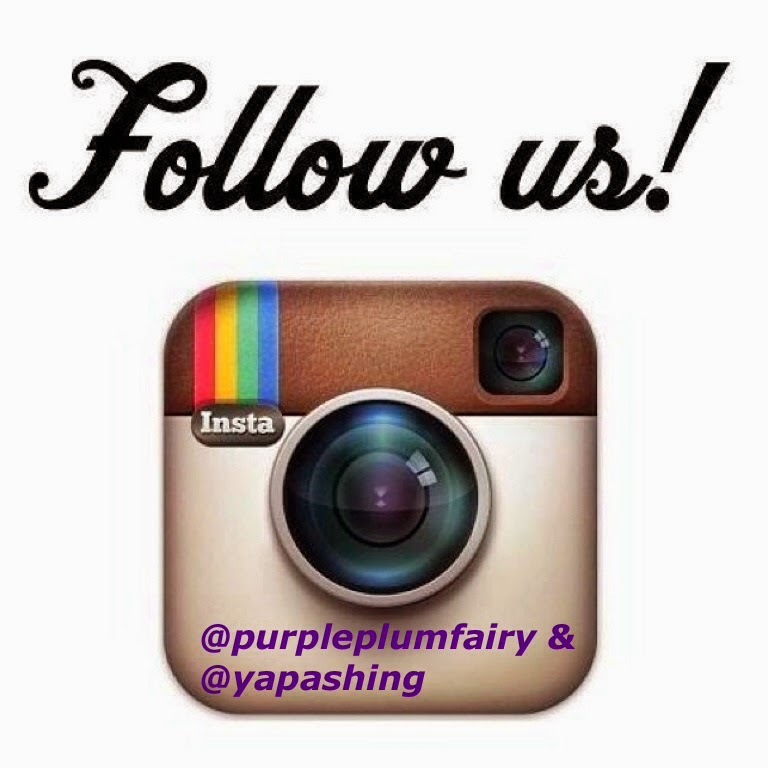 Follow Banana Peel on Instagram via @bananapeelofcl and on Facebook at https://facebook.com/bananapeelflipflops. Visit their website too at www.bananapeel.net to become updated to their current promos, contests and events. Special thanks to Banana Peel and to Ms. Aica Ting.